Bridge cameras have often had a bit of a bad reputation in the past, but models such as those found in the FZ range make a lot of sense. They give you the flexibility of multiple focal lengths without the hassle of having to change (or indeed, carry) lenses around with you. The usual trade off is a very small sensor, but by using a one-inch sensor on the Panasonic Lumix FZ1000 II, you get a good compromise between zoom length and a well-performing sensor. The original FZ1000 was a popular choice for those looking for a good bridge camera that is ideal as a travel or holiday camera. With a large one-inch sensor, it produced good quality imagery, while having a fairly flexible zoom range that gets you close to the action - and that remains the same for the FZ1000 II. 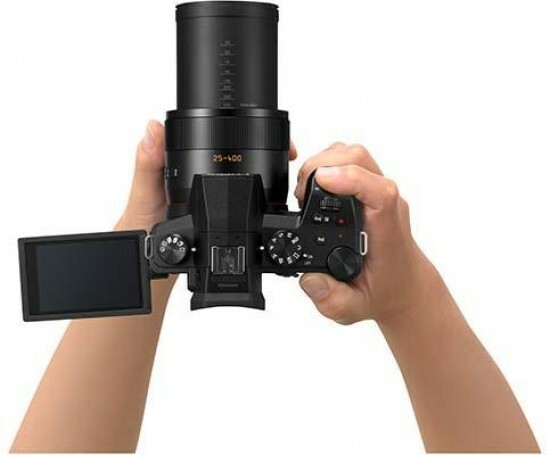 The new model also has a good range of other appealing features, such as an electronic viewfinder, fully articulating touch-sensitive screen and Panasonic’s useful 4K Photo options. However, it doesn’t mark much of a departure from the outgoing FZ1000. The buttons on the body being slightly reconfigured is a small but welcome change, while the addition of the Zoom Compose Assist function is genuinely useful. Bluetooth functionality being added alongside Wi-Fi is also useful, but again not a dramatic upgrade considering the original FZ1000 had Wi-Fi connectivity included. That all goes to say that if you already have an FZ1000, it’s probably not worth upgrading to the Mark II version, however if you are in the market for your first bridge camera, or are coming from an older or less advanced model, it’s a great option. You may also be wondering what Panasonic’s other premium bridge camera, the FZ2000, offers you for a little extra cash. The FZ2000 gives you longer reach with a 20x optical zoom - but if you’re content with 16x, again the FZ1000 II marks a very good option. Overall, although the Lumix FZ1000 II may not mark a hugely exciting new entry into Panasonic’s line-up, it’s a great choice for those looking for flexibility and high image quality and comes recommended, particularly for travelling photographers.